This chapter provides a theoretical background and presents a review of the literature relevant to the central issues with which the book is concerned. 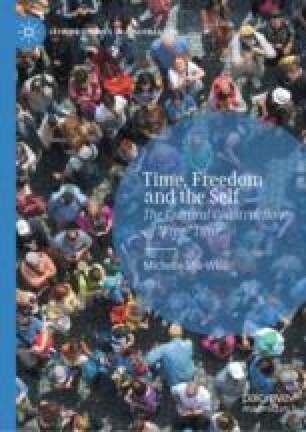 By positioning the research within the framework of literature on time use and leisure, the self, freedom, culture and discourses, the chapter presents the unique perspective of the book and how it is hoped to add to existing scholarship in these fields. In addition, a number of terms are introduced: freedom from and freedom to, the hierarchization of free time, disciplined freedom and conspicuous busyness. These theoretical concepts are offered by the author in order to analyze various aspects of free time. The chapter briefly describes the methods used, discusses the context of the study and concludes with the rationale and objectives of the book. Bank of Israel. 2012. Report on the Middle Classes [Hebrew]. http//www.bankisrael.gov.il/press/heb/120313/120313m.htm. Accessed Mar 2013. Bezeq. 2014. Digital Life. Bezeq Report of Internet Use in Israel in 2014. [Hebrew]. my1.bezeq.co.il/DIGITAL_LIFE.PDF. Accessed June 2015. Drake, Bruce. 2013. Another Gender Gap: Men Spend More Time in Leisure Activities. Pew Research Center. http,//www.pewresearch.org/fact-tank/2013/06/10/another-gender-gap-men-spend-more-time-in-leisure-activities/. Accessed Sept 2016. Gershuny, Jonathan, and Oriel Sullivan. 2017. United Kingdom Time Use Survey, 2014–2015. Centre for Time Use Research, University of Oxford [Data Collection]. Colchester: UK Data Service. SN: 8128. https://doi.org/10.5255/UKDA-SN-8128-1. Internet World Stats (IWS). 2018. Usage and Population Statistics. https://www.internetworldstats.com/me/il.htm. Accessed Aug 2018. Kemp, Simon. 2017. Digital in 2017: Global Overview. https://wearesocial.com/special-reports/digital-in-2017-global-overview. Accessed June 2018. Mann, Rafi, and Azi Lev-On. 2017. Annual Report: The Israeli Media in 2016. Agendas, Uses and Trends. http,//newsite.aunmedia.org/wp-content/uploads/2017/05/mediareport2016.pdf. Accessed Aug 2018. OECD Social Indicators. 2009. Special Focus: Measuring Leisure in OECD Countries. http//www.oecd.org/berlin/42675407.pdf. Accessed July 2010. Roberts, Kenneth. 2013. Sociology of Leisure. Sociopedia.isa: 1–13. https://doi.org/10.1177/205684601371. Shir-Wise, Michelle. 2018. Disciplined Freedom: The Productive Self and Conspicuous Busyness in ‘Free’ Time. Time and Society. doi.org/https://doi.org/10.1177/0961463x18769786. Turkle, Sherry. 2012. The Flight From Conversation. The New York Times. http//www.nytimes.com/2012/04/22/opinion/sunday/the-flight-from-conversation.html?pagewanted=all. Accessed Apr 2012.